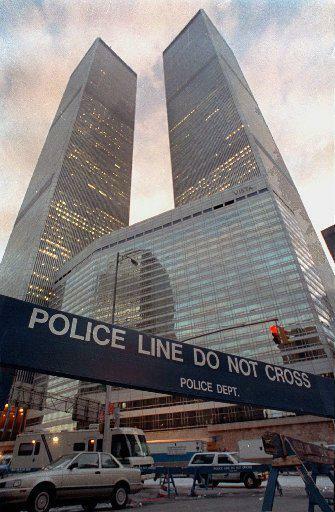 A 1,210-pound bomb packed in a van exploded in the underground parking garage of the World Trade Center in New York City, killing six people and injuring more than 1,000 (mostly from smoke inhalation). The powerful blast left a crater 200 feet wide and several stories deep. The cost for damage to the building and disruption of business for the 360 companies with offices in the Center exceeded $591 million. Fifteen people - the fundamentalist Muslim cleric Sheik Omar Abdul Rahman and 14 of his followers were indicted for the bombing. Rahman was given a life sentence, and the others received prison terms of up to 240 years each.